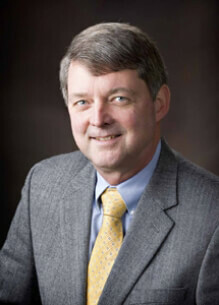 Paul Nickel, CLU® - Keating & Associates, Inc.
Paul spent his early career years as VP of a Kansas bank. During his 10 year banking career Paul had formed customer relationships with a few members of the leadership team at Keating & Associates, and he joined the organization in 1989 when an attractive opportunity presented itself. Originally brought on to spearhead the investment portion of the business, Paul was instrumental in establishing Keating & Associates’ relationship with Raymond James, serving as branch manager from 1989 until 2013. In 2013 Paul was faced with making a decision due to the rapid growth of the Investment Department at Keating & Associates. He could either continue to serve as branch manager for Raymond James at Keating & Associates, or he could continue to serve his growing client base in a financial advisory role. Paul chose to stick with his clients. He really enjoys seeking non-traditional asset tools to incorporate into his financial strategies. Paul asserts that he only works with nice people and that he has stayed with Keating & Associates all this time because he truly believes that Pat Keating is perhaps the most innovative future-looking business owner he has ever encountered. In addition, Paul has a son that has been with the firm for 11 years. The Nickels are not the only example of second generation representation within Keating & Associates. Paul maintains that the next generation of leadership is poised to take the company to places the first generation never dreamed it could go. He truly enjoys his work since all his clients are really good people and he is part of a really great firm supported by a tremendous Broker dealer in Raymond James. Retirement is definitely not in his plans. Paul has been married to Diana for 44 years. They have three grown children and four grandchildren. Diana has been running a successful B&B out of their home for 15 years – The Scenic Valley Inn – and they are Amtrak travel enthusiasts as well as K-State sports fans.